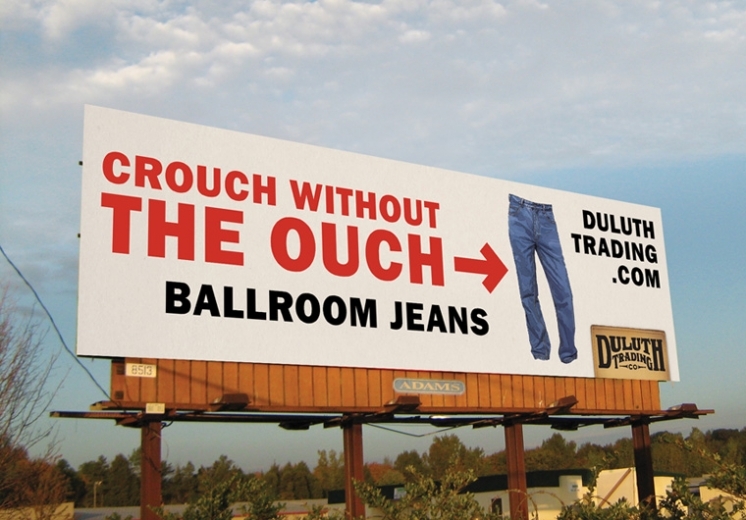 Duluth Trading Company Nails Positioning for Tradesmen Clothes – StratGo Marketing. Plug-in marketing department services. It’s exciting to find hidden examples of terrific marketing. I never heard of Duluth Trading Company until this past weekend. During a college football broadcast, I saw a commercial for Fire Hose Work Pants that featured an animated beaver unsuccessfully trying to bite into a pair of work pants. Check it out. Second, the Duluth website is smartly designed and easy to navigate. Third, there are video demos for all the key products that actually tell you why the products are great and show what they’re designed to do. This is especially important since Duluth sells primarily online (they do have three stores in Wisconsin). Duluth even makes work gloves interesting! Talk about marketing power: I’m not a trade worker, but I’m tempted to buy some stuff anyway, just because of the cool functionality. The only point I can question is expanding into women’s clothing, but of course, there’s no reason not to cater to women who need better-performing, high-quality outdoor attire. I suspect that making this move was a difficult decision, given that the company’s positioning, personality and overall messaging are so male-oriented and focused. Note: target expansion is often a challenge for one-brand companies. Marketing basics do work. If you can get your positioning and personality easily defined, you’ve got a solid platform to reach customers, especially when your product line backs it up. Then, as Duluth Trading Company demonstrates, become a great story-teller. I just bought a coat from Duluth and didn’t realize where it was made until it came to me. I paid $150 because I thought it was specifically made here in the USA… very disappointed and I’m glad they have a “no bull” return policy because I’ll be sending it back to spend the money here at home on something not made over seas. Jenny, thanks for reading my marketing blog. I suggest you contact Duluth Trading with your feedback. I have no connection with the company. this Company is a future glimpse of what the fate of American Industry and Economy is to become. They are cleverly deceptive in their Catalog, each good has an “Imported” origin. In actuality almost all of the goods are from Asia and much from China (yes I know it is technically Imported). Maybe they should be more “truthful” and state the Country of origin instead of a blanket “Imported” information, thinking customers won’t give it another thought. Decent quality goods sold at “Made in America” prices (except none are). Their Marketing is completely mis-leading. You would think a Lumberjack is making the goods in his Log Cabin (he does not). If you like paying high prices for low foreign labor cost goods, then do business with this Company. If you don’t think they are serving their own Country well by doing this, then don’t do business with them. I for one will never step foot in their store again. It is a glimpse of a Future that I don’t want. If you are going to charge the high prices anyway, what is the excuse to not have any Domestic made products (or sorely few from what I could see) ? Pure Old Fashioned Greed is the only answer I can come up with . Let’s play a game and tally the number of Jobs they have created in Asia vs. the number they created in their own Country. Anyone care to play this game ? How many people does it take to run a Factory vs. the number it takes to do some Marketing and Accounting ? What level of skill and creativity are required for each endeavor ? Which skills are more valuable ? I know what the Chinese believe the right answers to be. They will soon do the Marketing and Accounting for themselves and finish their job by putting Marketing and Accounting out of business as well. and what is “the wrong thing to do” ? Duluth Trading Company is “doing the wrong thing”.